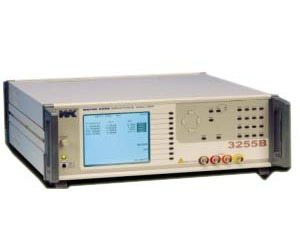 3255B and 3255BQ are highly versatile and accurate inductance analyzers able to characterise devices in a clear and simple manner. 3255B covers up to 500 kHz and 3255BQ covers to 1 MHz. The AC drive level can be set between 1 mV to 10 V. DC bias current can be set from 1 mA to 1 A internally (optional). Using the external 3265B 25 A DC Bias Units bias currents can be set to a maximum of 125 A.